Today’s young creatives have unprecedented influence on the world around them. They are igniting discussions on social and environmental issues with creativity that can transcend global boundaries. Using digital story making, they can translate personal experiences and perspectives into media that has the power to create real change in communities around the world. As part of Adobe’s commitment to this next generation of creatives, we have selected 25 students for this year’s class of Adobe Creativity Scholars. Launched in 2013, the program now supports 75 students in post-secondary education and creative pursuits. 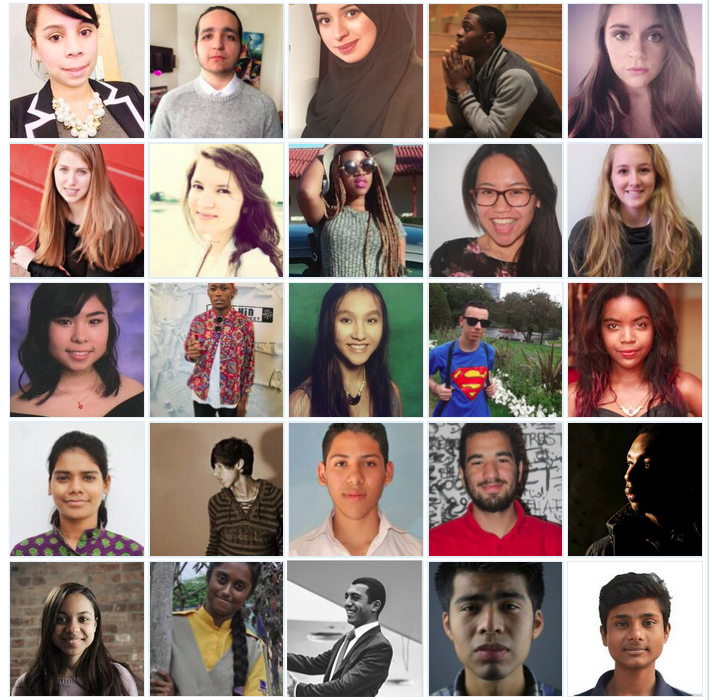 Chosen from 12 countries around the world, the students have all participated in the global Adobe Youth Voices (AYV) program where they learned to how to create media with purpose. These young filmmakers, social entrepreneurs, and artists were selected due to their strong academic performance, leadership and global awareness. “Adobe and AYV gave me the confidence to dream of pursuing a career in film and an outlet to express my frustration artistically,” scholar Ayanda Chisholm says. Her film, Black Beauty in the White Gaze, brings light to the historically underrepresented, including LGBTQ communities, women and people of color. We are extremely proud of the 2015 class of Adobe Creativity Scholars, and look forward to seeing where they will take their talent and creativity next! Patricia Cogley is senior manager, Adobe Youth Voices.